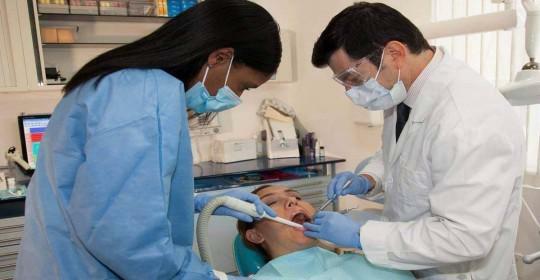 Cosmetic Dentistry Center Blog What Do Dental X-Rays Show Your Dentist and Why Are They Important? Dental x-rays provide your dentist at the Cosmetic Dentistry Center with an image of your teeth, the tooth roots and the bone surrounding the teeth. Certain types of x-rays are highly detailed and are able to show the location of nerves and sinus cavities and can be used to diagnose diseases and to plan complex treatments such as dental implants. There are two main types of dental x-rays that are taken as they can be intraoral which means they are taken from inside the mouth, or they can be extraoral, meaning the x-ray is taken from outside the mouth. The most common type of dental x-ray is intraoral and is used by your dentist to pick up any early signs of cavities, to monitor the general health of your teeth and the surrounding jawbone, and to assess the health of the tooth roots. 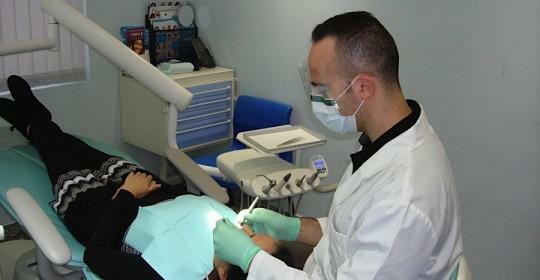 Extraoral dental x-rays are more focused on showing the jaw and the facial bones. These tend to be used for showing problems with the way the teeth meet together, and for identifying teeth that might be impacted. Bitewing X-Rays:These show the upper and lower teeth in one particular region of the mouth in a great amount of detail. The tooth is shown from the top of the crown which is the part visible in the mouth, right down to the bone supporting the tooth. This type of dental x-ray is generally used to show any cavities in between teeth, and it can also show any changes to the bone levels surrounding teeth that may indicate gum disease. 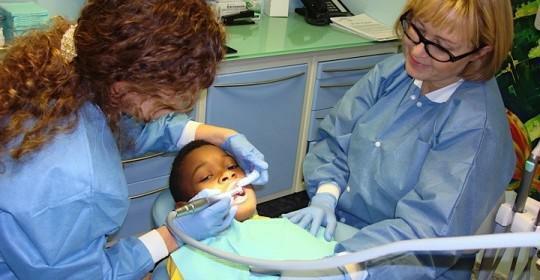 They are also useful for identifying poorly fitting crowns, or for showing fillings that might be leaking and crumbling. Periapical X-Rays:This type of x-ray shows the entire tooth right from top of the crown down to the tip of the root. It’s very useful in helping your dentist to identify any abnormalities in the tooth root and for detecting any changes to the bone surrounding the tooth root. Panoramic X-Rays:This x-ray shows the whole mouth, including every tooth in both the upper and lower jaws on one single image. It’s extremely useful for showing impacted teeth and the position of fully emerged teeth. This type of x-ray can also be used to help identify any tumors or cysts. Computerized Tomography:Computerized tomography or CT scans are frequently used for planning dental implants, as well as for identifying any problems with the bones in the face. 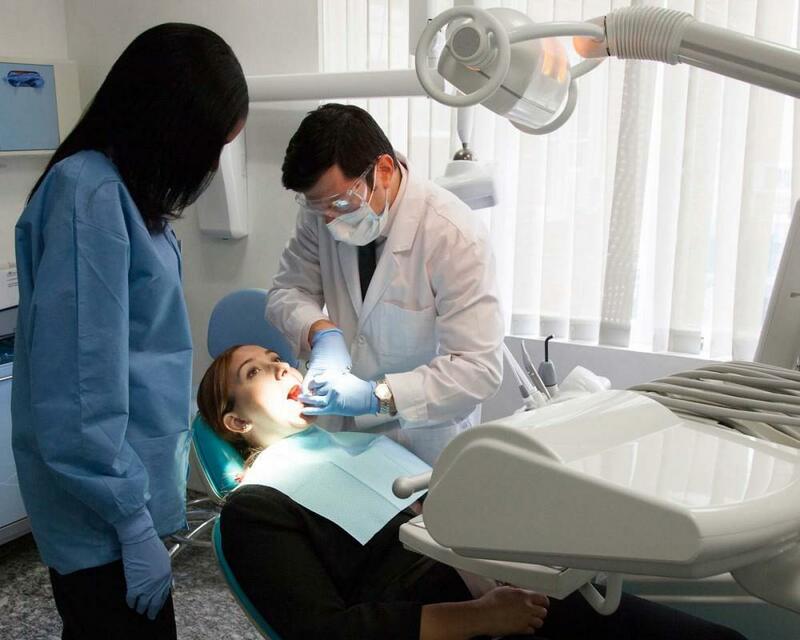 Family dentists can always take intraoral x-rays, but not so many have the equipment to take more complicated extraoral x-rays such as panoramic x-rays and CT scans. 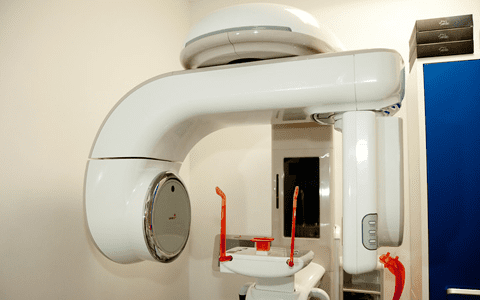 The Cosmetic Dentistry Center has the latest imaging equipment to take both panoramic x-rays and CT scans which is extremely useful for both dentists and patients. Our imaging equipment means there’s no need for you to go to another clinic to have these x-rays taken as everything can be done right here at our dental practice. This helps to save you time and ensures you benefit from the latest and safest technology. All images are digital and are extremely safe so there is absolutely nothing to worry about when your dentist recommends you have an x-ray.